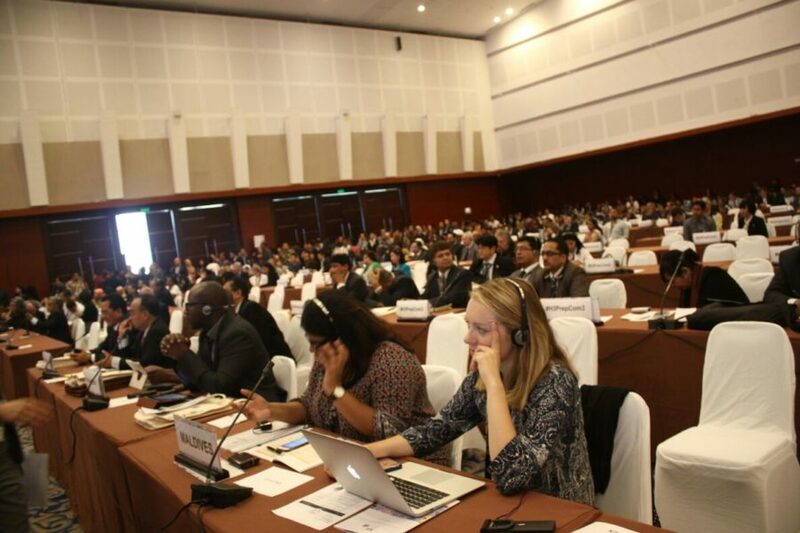 The third session of the Preparatory Committee of Habitat III (PrepCom3) in Surabaya, Indonesia, made strong progress towards the adoption of the New Urban Agenda in Quito. In three intensive days of negotiations, delegates from member states discussed the crucial points of this agenda on sustainable urbanisation. Dr. Basuki Hadimuljono, Minister of Public Works and Housing of the Republic of Indonesia, highlighted the importance of including a wide range of stakeholders in the process, saying that the government will no longer be the only institution in charge of the development of urban areas and settlements. He cited how there has been a global shift of government’s role from being a top-down regulator into being a facilitator of the development for all stakeholders, including communities and the private sector. PrepCom3 put the city of Surabaya in the global spotlight of sustainable urbanisation for three days. In 27 parallel events and 39 side events, United Nations member states, representatives from intergovernmental organisations and local and regional governments, and stakeholders discussed how a new model of urban development would be able to integrate all facets of sustainable development to promote equity, welfare, and shared prosperity. The important role of PrepCom3 as the key arena for member states to discuss the New Urban Agenda before the Habitat III Conference in Quito was also reflected in an extraordinary high turnout. A total of 4,248 from 142 different countries were registered during the three days of the meeting.